Camping beauty tips are very much about learning how to take an effective skin care routine that you always follow and make it easy for you to stick with it even when modern conveniences are nowhere to be found. Nefertari is all about advocating honoring the beauty that you naturally are and we’d like to teach you that this same beauty can be protected, even enhanced, as you get a little closer to nature this summer. Although some people love camping in the midst of the snow, the hot weather is a signal to many that it’s time to take a trip. Often that means grabbing the tent, the sleeping bags, and the cooler and heading to a great state park to set up camp. Have a lot of fun, but be serious when it comes to your skin care. Following just about all of the other camping beauty tips becomes near impossible unless you follow this first one. its vital that you bring all of your beauty essentials along. This would include not only what you use to wash your face, but also moisturizer, toner, sunblock, and even special treatments like eye cream, face masks, skin serum, and the like. Most campgrounds have bathing facilities and even if you’re doing primitive camping there’ll still be a way for you to care for your skin. Being in nature is no excuse for letting your beauty go to the wolves, or throwing your skin care routine to the breeze. Some get a bit disheartened when they read that first tip. When they seek out camping beauty tips, they’re looking for a way to travel light and efficiently. They don’t think that’s something packing all their beauty essentials will let them do, but that’s the beauty of travel skin care kits. Travel kits for skin care are great for camping, hiking, and going on adventures in the wild. However, be sure to pick a nice one that is, one that comes complete with just about everything you’ll need in order to properly take care of your skin while on this summer’s camping trip. Many consider bug repellent to be an essential piece of camping equipment. its quite understandable. It can also be a very important item when it comes to not only the beauty of your skin, but the health of your body because bug bites are one way that diseases and parasites are spread. The last thing you want is to come away from your trip having Lyme disease, yellow fever, and a belly full of parasites. However, you also don’t want to pump your skin full of harmful toxins, which is exactly what many bug repellant call for you to do. Try natural bug repellant instead, especially when applying it directly to your skin. No matter what type of bug repellant you choose, be sure to wash it off intermittently in order to protect your skin from toxins and damage. Protecting your skin from harmful UVA and UVB rays has to be one of the most common camping beauty tips given out. Sun protection is actually something very important to do year round, whether indoors and out. If you’re serious about your health and beauty, then you should already have a strong habit of applying SPF lotion. If you’re not in the habit of it, this year’s summer camping trip is a great time to start. Of course, right now is an even better time to start. There are many health benefits to being nature. there’s nothing like the beauty of nature to help a person overcome stress. Camping among the trees gives your body to take in more fresh, pure air and a high level of oxygen. That oxygen can have a very beneficial effect on the health of your skin, so take some time to relax and breathe deeply. Camping is a great time and place to spend time practicing medication and breathing exercises. This is one of the camping beauty tips that not only benefits your body, but also your mind. Going camping at the lake? Does the campground have a swimming pool that you plan on enjoying? Before going for a swim, whether in fresh water, pool water, or even chlorinated water, be sure to become familiar with what swimmer’s skin care is all about. This might be one of the camping beauty tips that not everyone can use, but it’s a very vital one for those who plan on swimming, even if for just one session. its not a good idea to assume all your personal hygiene need is going to be covered. Your skin care and hygiene is so important that it’s better to have a backup plan and another plan to back up your backup plan than to assume, encounter problems, and allow your beauty to suffer for it. This means pack cleansing wipes and even a spray bottle of water if you have to. There may be showers, there may be a lake, but where your skin is at stake, don’t take chances. it’s odd how so many people go on a trip thinking it will relax them but they end up coming home exhausted and sleep deprived. Even when on your trip, be sure to get plenty of sleep, even if there’s tons of adventures to be had and you don’t feel tired. Your skin can get tired and you may not even feel it, but if you don’t get enough sleep you’ll surely see the results of that later on. Many people won’t find this to be a problem because the fresh air and the beautiful night sky makes it easy for them to fall asleep when camping. Hydration and moisture remain the cornerstone of proper skin care for all skin types. This is also one of the most essential and important camping beauty tips that can be given. Be sure to drink enough water. If you’re having to pack your own water, then make sure to take more than enough. As well, don’t forget to apply moisture to your skin. Depending on the type of moisturizer or lotion you use, you may have to re-apply several times throughout the day. that’s why it’s good to buy products that are high quality. 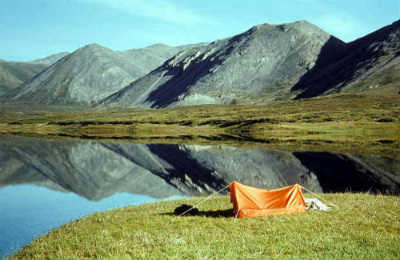 Summer camping trips are a great way for people to get away from the droll of every day life. it’s smart not to quit on your skin care routine during this time, but do give your skin a break from makeup. Instead, let your pores enjoy that fresh air. If you must apply something, limit it to a bit of lip gloss and, if you must, mascara. you’ll return home feeling and looking even more vibrant. Too Busy for Skin Care? Many of the clients that come to Nefertari give the excuse that they’re just too busy to take care of their skin. Nonsense! Yes, skin care can become very involving and time consuming, but that doesn’t mean that it’s impossible for you to find the needed time to care for your skin in such a way that it stays looking great. Read on to learn how to manage daily skin care even when your schedule is tight. Do you know exactly how many minutes it takes to get done for your skin what you need to do for it every day? You should. If not, then time yourself. See how many minutes it actually takes to cleanse and treat your skin properly. It may not really take as long as you think it does. Once you see how many minutes your routine takes, then it becomes much easier to find the time to do it. When some say they don’t have time to care for their skin, they’re often not talking about daily washing, but doing full facials, such as exfoliating, applying masks, and so on. This type of deep cleaning can be very important. One way to find the time to do it is to make an appointment with yourself. If others are trying to get some more of your precious time, make sure to let them know that you’re busy during the time you’ve scheduled for yourself. After all, isn’t your skin important? What about when you wake up and are already running late? What about when life is just so hectic that you barely have the time to get dressed? You can learn about doing skin care on the go. It’s not ideal, but it is a way you can still manage to keep your skin care up-to-date. Consider keeping trial or travel sizes of your products. Use some of the waterless skin cleansing options. Keep these products in your purse, briefcase, or other bag so that you can stop off somewhere, perhaps on your restroom break, and get it done. Many of those who claim they don’t have time to take proper care for their skin simply haven’t learn to prioritize correctly. A great number of the skin care problems people struggle with are those they’ve developed over time from not giving their skin the attention that it needs and deserves. How you look can have an impact on how you feel about yourself and how people perceive you. It can effect career advancement, productivity, and your overall success. Make skin care a high priority and you’ll find the time to get it done. At Nefertari we can work with you to devise a skin care routine that best suits the needs of both your skin and your lifestyle. Contact us today for a skin care consultation.